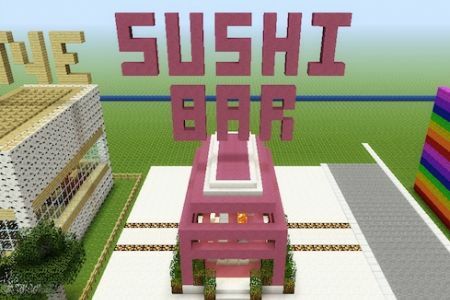 There are quite a few different kinds of fish available to work with in Minecraft and some of them are officially cooked, so a sushi bar is definitely in need. The atmosphere is not hard to make and its always great to have a place to store your cooked or raw salmon or fish. I used pink clay blocks to match the colourful environment in Electra Amusement Park however you can use whatever blocks you’d like to create difference themes. To have a more authentic look try for Japanese style surroundings. 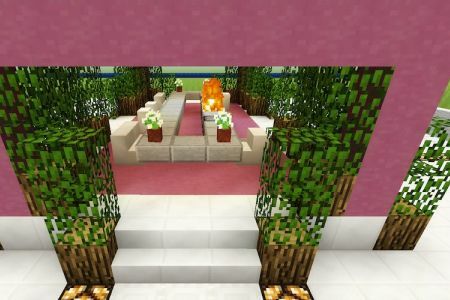 The necessities for a sushi bar consist of the bar made of slabs, netherrack for a flaming grill, and stairs for seating. 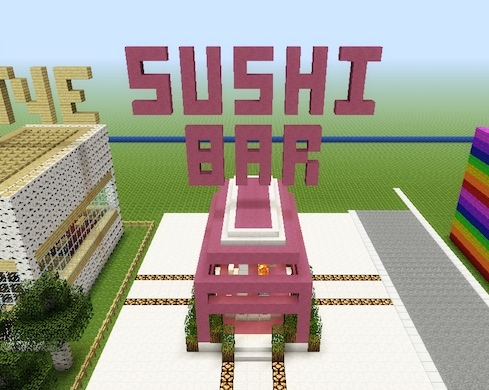 Add dispensers with the cooked fish for a real functional sushi bar. My design is the most basic, which is a 13 x 3 design. 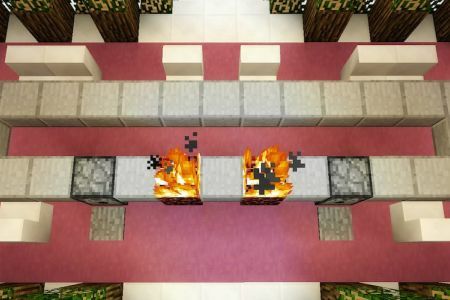 Using slabs most of the way and then adding a couple of dispensers and the netherrack for the grill, like in the photo. 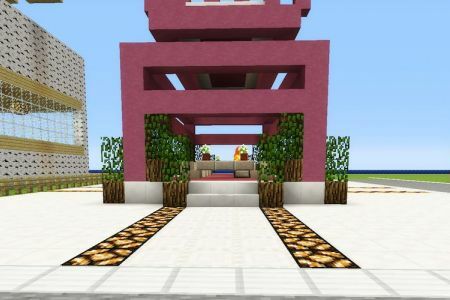 You can get even more creative by placing the grills (netherrack) behind the slabs and then adding a stair and block ventilation system above it. I couldn’t place a villager as our grill man in our design because he could hop right out of the middle. 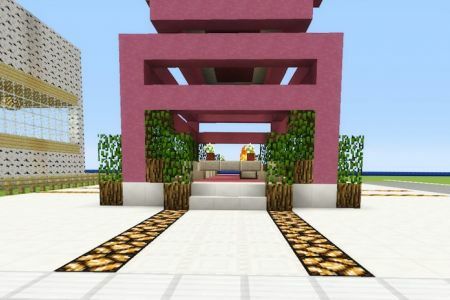 If you place a ventilation system above and enclose the space in slabs you could spawn a villager for your sushi maker.